We have just completed an extended nine month trial of Football Value Tips, a football tipping service from renowned systems developer Phil Rushton. We wanted to give it some extra time to gather enough tips to properly judge the service and get a sense of whether it could achieve a passed verdict from a long term trial. So after nine months, what do we think of Football Value Tips? Well we are pleased to say this has proved a profitable service and very easy to follow. There is usually just one e-mail per week containing the bets for the weekend, usually sent out on a Thursday or Friday. You are given the selections, staking and bookie with the best odds. Having made 44 points profit over the trial, we feel this is worth a PASSED rating. The bank growth of 44% over the course of nine months is not earth-shattering, but is solid growth nonetheless and with such little work required to follow the service, you really can’t complain about those returns. As you can see, although it went into deficit early on, things picked nicely over the second half of the trial to finish in a clear profit. Bets during the main season come primarily in the English Premier League, with some bets from the other European leagues. During the Summer you get bets from international tournaments as well as the MLS, China, Brazil and some of the other Summer leagues. 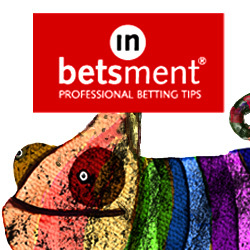 Ease of use: There are only around 6 bets per week on average, so the workload in following the service is pretty low. Availability of prices: You should have no problem matching the advised prices, or even beat them sometimes using Betfair. Strike rate: The strike rate for the trial was 46%, so a decent proportion of winners. Advised Betting Bank: A 100 point bank is recommended for following the service, which seems pretty fair to us. Staking is between 1 and 5 points with an average of 4 points, so it is probably equivalent to about a 25 point bank if you were betting 1 point level stakes. The worst our bank went was 32 points down, so plenty in hand. Subscription costs: The subscription costs are very reasonable at £14.95 per month or £67 per year, with a 7 day free trial available. Making a profit in football is notoriously hard so we are always glad to find a football tipster who manages to generate a good return during a trial. Football Value Tips made a steady 44 points profit during our trial, which also represented 44% growth of the bank. It is a simple service to follow and with the majority of bets coming in the major European leagues, you should have no problem getting your bets matched. So we are happy to give this a PASSED rating and to say it is worth considering adding to your betting portfolio. A bit of a retraction for Football Value Tips recently, with 22 points lost since our last update a month ago. That means they are now 23 points up for the trial overall. A lot of the recent tips have been in the Premier League and there have been some strange results lately, with the season winding down and some sides not having much to play for. Still, hopefully they can finish with a flourish over the last couple of weeks of the season. Positive progress for Football Value Tips since our last update, with another 17 points of profit added. That means they are now 45 points up for the trial overall. With the football season coming to a climax soon there should be some good betting to get our teeth into before the conclusion of the trial. The good form continues for Football Value Tips, who have added another 17 points of profit since our last update. That means they are now 28 points in profit for the trial so far. This is a really easy service to follow, with just a small number of bets each week and most in the Premier League and other big European leagues. We only a few weeks left in our six-month trial so hopefully they can push on to more profits for the remainder of the trial. Football Value Tips have continued their good run, adding another 11 points of profit since our last update. That means they are also 11 points up for the trial as a whole, as they were level at the time of our last update. Let’s hope they can continue the good form for the remainder of the trial. Football Value Tips has been on a decent run since our last update, racking up a healthy 27 points profit. That very neatly takes them back to level for the trial, as they were 27 points down last time. We have been following the tips for 4 months and obviously they haven’t set the world alight in that time, but nothing lost either. We have 2 months left in the trial so hopefully things can move forward between now and the trial end. It has been a tough couple of weeks for Football Value Tips since our last update, with another 17 points lost. That puts them at 27 points down for the trial overall after just over three months. They had a particularly tough time over the FA Cup weekend, with all of their five bets losing. Seems to back up that old adage about not betting on cup football. Anyway, hopefully things will have picked up for Football Value Tips by the time of our next update. A Happy New Year from Honest Betting Reviews! It’s been a slow start to our trial of footy tipster Football Value Tips, who are 10 points down so far. We have actually been following the tips since 8th October 2016, so we have nearly three months of results now. Things were going well earlier on but they have hit a rough patch of form lately, losing five bets in a row over the Christmas fixture period, which knocked them back somewhat. Let’s hope things pick up for them as 2017 gets underway. With the football season in full swing we thought it would be a good time to start a new trial of a footy tipster. The tipster in question is called Football Value Tips and is run by a guy called Phil Rushton. The sales page claims that the tips have made over £28,500 over the last two seasons, although that doesn’t say to what stake. Having a look at the results in a bit more detail, we can see that there has been over 320 points profit so far since tipping started in August 2015. So that would be over £3,200 at £10 per point and £32,000 at £100 per point. The staking varies between 1 and 5 points, although the vast majority of bets are either 2.5 points or 5 points. The vast majority of bets are in the English Premier League, with a few bets from other leagues such as the Championship, Bundesliga or Serie A, plus some international matches. A variety of different markets are used, including Double Chance, Both Teams to Score, Anytime Goalscorer and of course the main match odds market. The bet volume seems pretty manageable with a few bets per week, so nothing too onerous for the punter in terms of time commitment. Subscription costs are very reasonable at £14.95 per month or £67 per year, plus there is a free trial for 7 days so you can see if you like the service before going on to one of the paid memberships. We have actually been following these tips since 8th October, so we have a couple of months of proofing already in the bank. But we will do our normal three month live trial on top of that, so we will have five months of tips in total by the end, a pretty solid amount to go on. So without further ado, we will get the trial underway and will report back soon on how things are going. In the meantime you can check out Football Value Tips here.